Even in the best of times, being a parent can bring moments of fear. Our children are such treasures. When people intentionally want to frighten and kill us, I believe parents feel it more acutely than most. Anthrax scares can be particularly frightening to parents. Anthrax is a bacterial infection, similar in many ways to diphtheria. It is not a virus like smallpox. Anthrax is treated or prevented with common antibiotics if the illness is caught in time. The legendary chemist and microbiologist Louis Pasteur (for whom “pasteurization” was named) developed an effective anthrax vaccine. At the time, anthrax was devastating the sheep industry and the economy of France. Pasteur unveiled his vaccine to the world in a highly publicized demonstration at Pouilly-le-Fort, in May 1881. It was dramatically effective. Today, the biggest anthrax threat comes when people intentionally try to infect others. Anthrax is selected as a bioweapon because it is easy to obtain and because the inhaled form is highly lethal if untreated. Between 8,000 and 40,000 spores are the minimum needed to cause an infection in a healthy person. How the spores enter the body determines the form (and thus severity) of clinical anthrax. Spores entering through broken skin cause cutaneous anthrax, those that are eaten cause gastrointestinal anthrax, and those that are inhaled cause inhalation anthrax. The size of the spore might make it easier or harder to store, spread, or inhale – but it is all the same anthrax. Cutaneous anthrax is an infection of the skin. The disease occurs after the bacteria come in contact with skin cuts or abrasions. Usually within two weeks, an itchy spot develops (similar to an insect bite). This may later blister and then break down, resulting in a black ulcer (often painless, but surrounded by swelling). Sometimes painful lymph nodes develop. A scab is often formed which then dries and falls off within two weeks. In 20 percent of untreated individuals, the infection may spread through the bloodstream and become life-threatening. However, in most individuals who receive appropriate treatment, death from cutaneous anthrax is extremely rare. Inhalation anthrax develops when anthrax spores enter the lungs. A person may have spores in the nasal passages (which indicates exposure). After exposure, it takes anywhere from one to 60 days for the spores to germinate and begin to cause disease. The spores release powerful toxins that cause bleeding, swelling, and tissue death. There are usually two stages of inhalation anthrax — the first stage can last from hours to a few days and is similar to a flu-like illness with fever, headache, cough, shortness of breath, and chest pain. Nasal congestion is not a feature of the illness. The second stage often develops suddenly and is notable for shortness of breath, fever, and shock. This second stage is fatal in up to 90 percent of individuals because of the build-up of toxins. The gastrointestinal form of anthrax occurs with ingestion of contaminated meat. Disease usually develops within one week and can affect the upper portion of the gastrointestinal tract (mouth and esophagus) or the intestines and colon. Infection in both of these areas may result in spread of the infection through the bloodstream and can result in death. Early symptoms may include nausea and vomiting (perhaps with blood), loss of appetite, and bloody diarrhea. Anthrax is only very minimally contagious (if at all) from one person to another. It is exceedingly unlikely to spread. Once any one person is known to have been exposed, everyone else believed likely to have been exposed is tested and treated. Symptoms may not begin for up to 60 days after a person has been exposed. Afterwards, the duration of the illness depends on the type of anthrax and the severity of the infection. In inhalation anthrax, the flu-like phase of the illness usually lasts from a few hours to a few days before rapidly worsening. Specific testing is done when anthrax exposure or illness is suspected. The type of tests will depend on the situation. Oral antibiotics taken after exposure can prevent anthrax. Neither a positive nor a negative nasal swab test should be used to decide whether a person is treated. The test is used by public health officials to get an idea of the exposure radius. Everyone with a high likelihood of having been exposed will be treated. For treating an inhalation anthrax infection, IV antibiotics are required. There is also some evidence that giving the anthrax vaccine after exposure can help treatment. Other supportive measures are usually necessary. Pay attention to public health broadcasts to reduce exposure to spores. An anthrax vaccine is used in some circumstances to prevent infection. Whether or not a vaccine has been given, antibiotics are given to people who have a high likelihood of having being exposed. 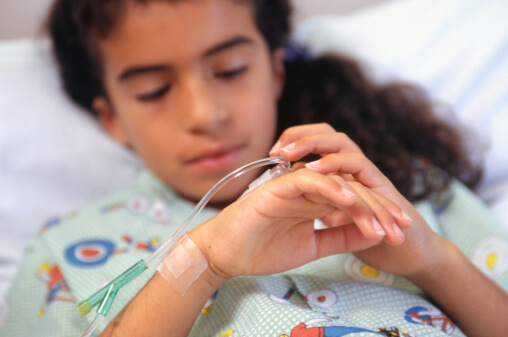 Giving your child an antibiotic before anthrax exposure is not wise. Besides the specific, significant side effects of these antibiotics, they would probably leave children MORE susceptible to smallpox and other viral agents. In addition, if your children took them for two months, stopped, and then were exposed to anthrax, they would then be more susceptible to it than they would have been otherwise. I do recommend probiotics, such as the beneficial bacteria found in active culture yogurt, to minimize susceptibility to any infection. Cutaneous anthrax, Inhalation anthrax, Gastrointestinal anthrax.